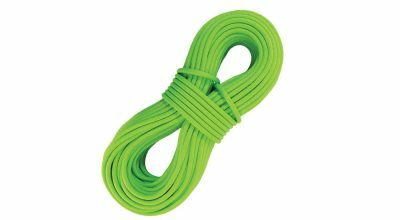 At 9.7mm, the Edelrid Anniversary Rope is equally adept at bagging sandy towers or lapping clip-ups. 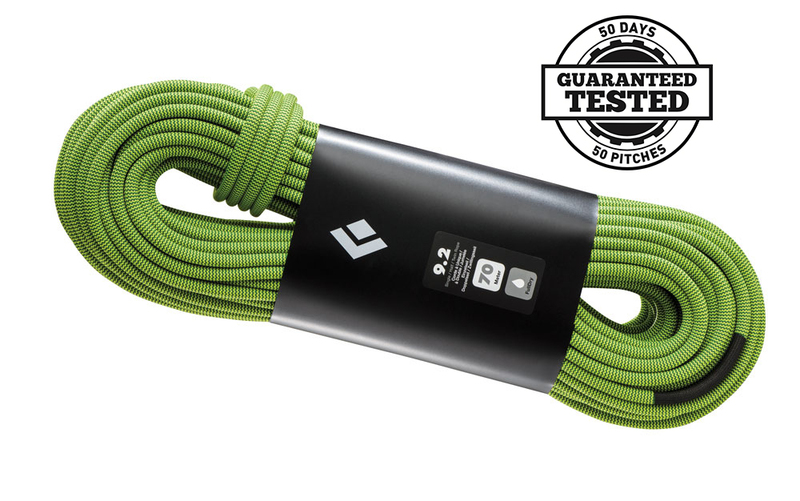 You don’t make ropes for 150 years without learning a few tricks and Edelrid, a German rope manufacturer that has been in the game for exactly that long, showcases a few mad skillz with their new Anniversary Rope. At 9.7mm, the Anniversary Rope is equally adept at bagging sandy towers or lapping clip-ups. The rope comes with a complimentary, limited-edition rope bag, but the real magic behind the Anniversary Rope lies in the handling. Edelrid’s new Pro Shield treatment (where synthetic fluoropolymer particles are bonded to the yarns by an electro-chemical process) forms a protective layer that reduces friction and facilitates a smooth ride through biners. The Anniversary Rope also includes Edelrid’s signature Dry Shield, which theoretically keeps water and dirt off the sheath, although after I climbed roughly 50 perma-drawed pitches in Rifle Canyon, Colorado, the black grime still latched on to this treated sheath like soot on a chimney brick. It is also worth mentioning that the Anniversary Rope is one of Edelrid’s signature Bluesign products—the cord was manufactured using environmentally friendly processes and the rope itself contains no harmful products. The major drawback of the Anniversary Rope is the fact that it only comes in 60-meter lengths. Although many climbs don’t demand anything longer, the trend in some areas is toward extensions and longer pitches of 35 and even 40 meters. If you climb in these areas, then this won’t be the rope for you. If, however, 30 meters is the extent of your particular klettergarten’s climbs then it would be a stretch to do better than the Anniversary. >Only available in 60-meter lengths. >Weight: 61 grams per meter.